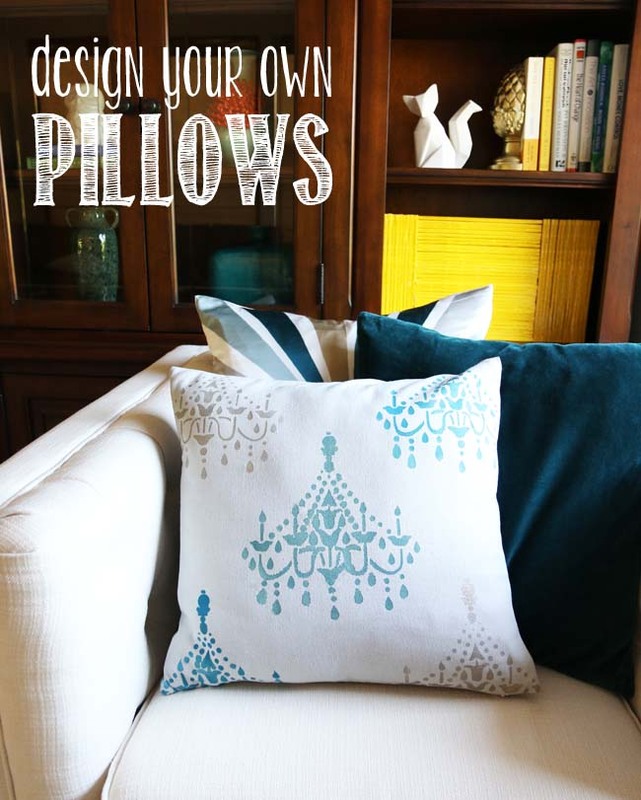 Today I'm sharing a stenciled pillow project, sponsored by the folks at Tulip®. I happen to love their Soft Fabric Paints and have used them on several textile projects. This paint is exceptional on fabric and always dries soft and flexible. So it's no surprise that I was excited to try some products from their new Tulip For Your Home line. With stylish stencils and an extensive line of paint colors, they make it EASY to create affordable, on-trend home decor. 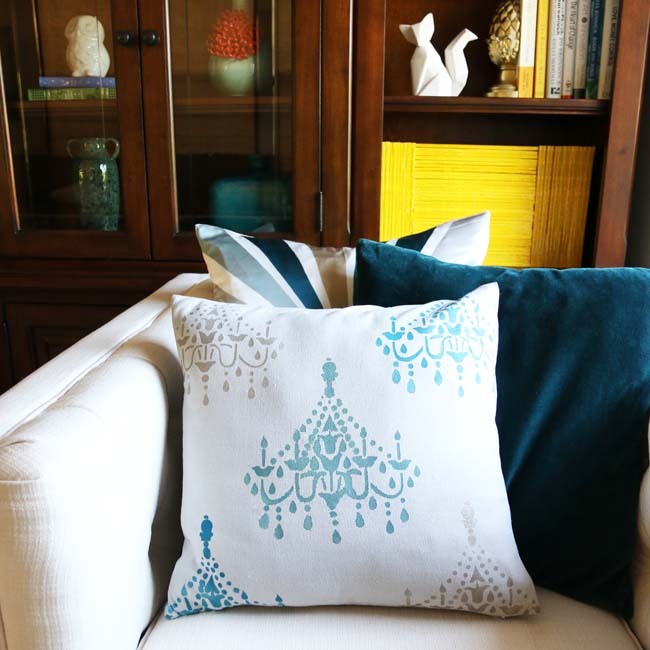 It's the perfect medium for personalizing any textile project-- from pillow cases & placemats to lampshades & canvas art. I was given all the tools to create this pillow case, including the "cool" color palette of blueberry, ocean and nickel.